There are many articles on the internet that talks you how to record the Apple TV output using a USB-C cable. But what if don’t have access to cables. Or what if you have Apple TV 4k that doesn’t come with USB-C cable. Can you still record your Apple TV screen wirelessly? The usual way to record your Apple TV is pretty simple. Simply connect your Apple TV setup box to your MacBook (yes you’ll need macOS for this) using a USB-C to USB cable. 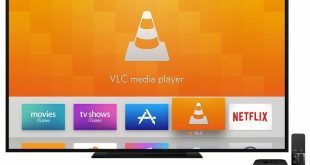 Next launch QuickTime, select Apple TV from the record options, and you are good to go. But guess what, you can also record your Apple TV output without using any cable. So, let’s check it out. shall we? 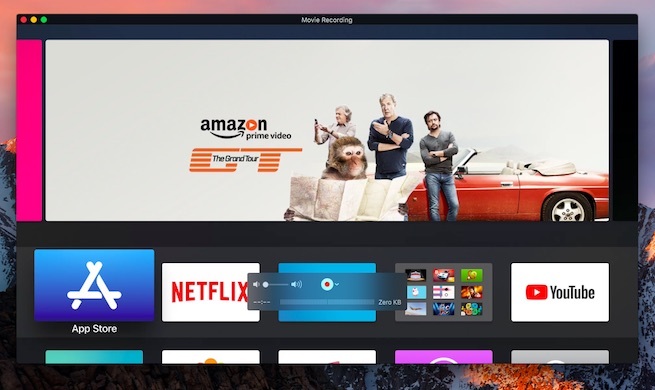 Don’t get your hopes up, recording your Apple TV screen is just capturing screen mirroring, you won’t be able to control your Apple TV with your mouse or keyboard. Also, you can’t record the screen of some programs like Netflix or Hulu due to copyright restriction. If you try to record that screen, you’ll just see a blank, black screen. 1. While on the same WiFi network as your Apple TV, go to Applications and open QuickTime. 2. Now when the application is running, click on the FILE tab on the taskbar and select ‘New Movie Recording’. 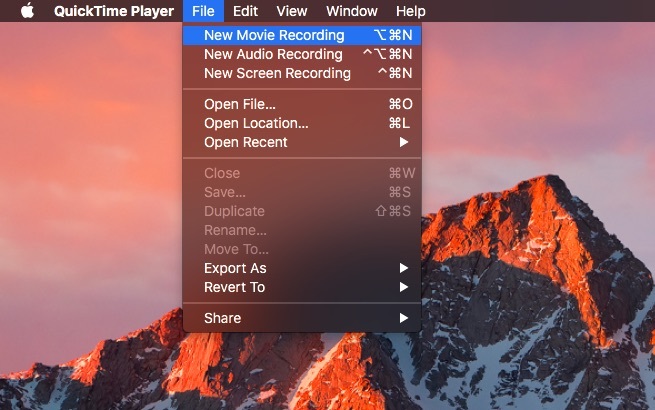 You’ll immediately see the QuickTime application using the facetime camera on your Mac to record a new movie. 3. Now, click on the small down arrow right next to the red record button. You’ll see a drop-down menu. Select ‘Apple TV’ under the head ‘camera’. 4. 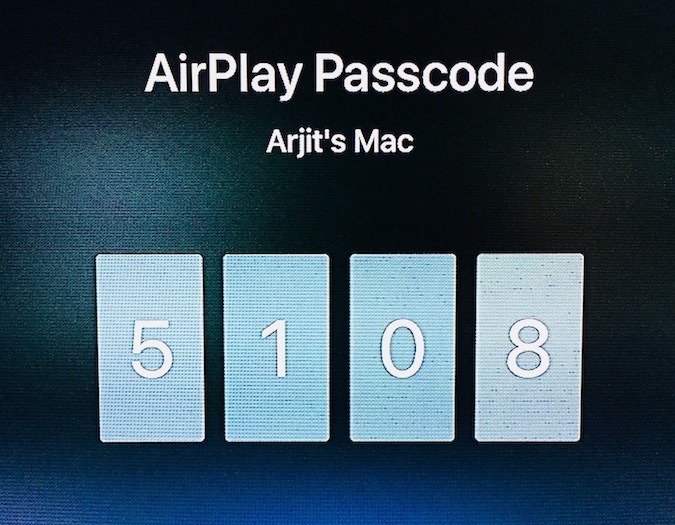 Now you’ll see a 4 digit passcode appearing on your AppleTV screen. Use the code on your Macbook to connect to the Apple TV wirelessly. 5. The Apple TV will ask for a confirmation to share the screen. Press the Record button and you are good to go. While you are at it, you can also take screenshots of your Apple TV using this method. We have tested the wireless recording several times and it works just fine. But if you want to avoid the minimal lags that it has, you can simply use a USB-C to USB cable (or just USB C to USB C, if you have newer MacBooks) to connect both the devices and follow the same steps to record the Apple TV screen. Although this option has been taken away in the new AppleTV 4K where the type C slot is missing. We haven’t tried the USB wired method on Windows yet but we are fairly confident, it won’t work. 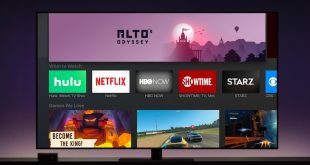 However, you can still record your Apple TV on a Windows PC, by connecting both of them via HDMI cable and use an HDMI capture card to cast Apple TV screen on Windows. If you have tried this method, or if you have any suggestions, do let us know in the comments. 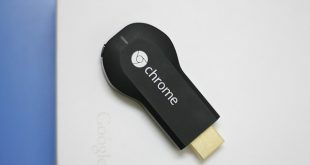 Chromecast vs FireStick vs Roku vs Android TV vs Apple TV – Which one to buy?